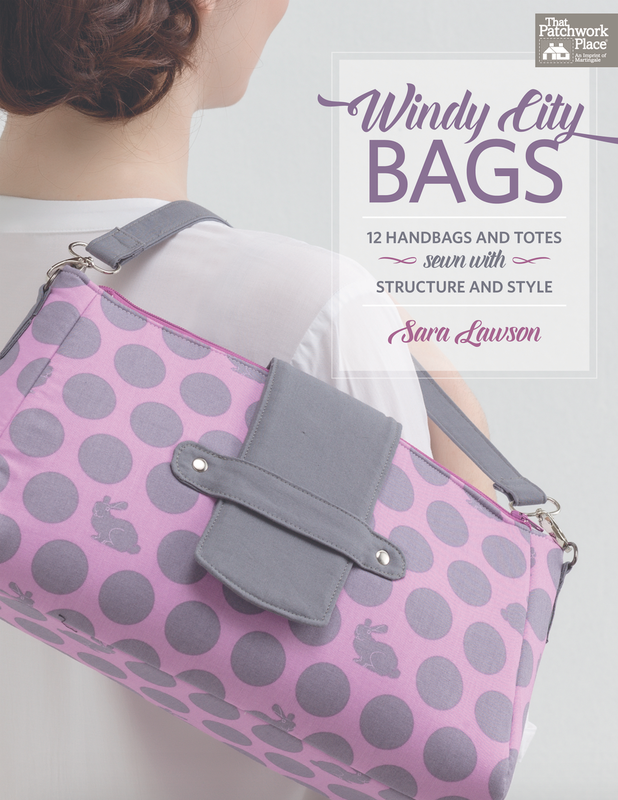 Sara Lawson (Sew Sweetness) is my favourite bag designer and has just released her second beautiful bag making book, Windy City Bags. It doesn't hurt that most of the projects in the book are made from fabrics by Tula Pink and Cotton + Steel, both of which lend themselves perfectly to her designs. I confess I'm in awe of anyone who can design and make bags. Quilts are 2D and bags are 3D and that whole 3D design and construction thing baffles me. And also, and I know this is a weird thing to say, but these bags look to me like they were bought in a shop (albeit a very fabulous shop) and that's important to me - I don't want someone to come up to me and say - ooh I like your bag / dress / jumper - did you make it yourself? because I don't want to walk around looking home made. As well as extensive detailed instructions for each bag, here are supplementary chapters on choosing and using interfacings and hardware as well as advice on choosing fabrics plus a whole page of pictures of the bags made up in different fabrics so you can see the difference. There are lots and lots of useful drawings and diagrams throughout as well as top tips and advice and suggestions. And finally the bags are all graded in terms of difficulty which is really important if (like me) you're a novice bag maker because you don't want to get discouraged by trying too hard a pattern first. Martingale have kindly agreed to let me give away a hard copy to anyone anywhere worldwide. To be in with a chance of winning, please just leave a comment on this post and include your email address if it's not linked in your blogger profile so I can get in touch with you if you are the winner. Sounds great! I have been looking for a purse pattern for awhile. Great bags, there are a couple pictured I would like to make. I would love to learn to make bags! Thanks! I love Sara's bags and have made several of them. Looking forward to making some from this book. Lovely bags - yes please! Thank you! Some fantastic looking patterns - I wonder if I'd be brave enough to try making one in leather not fabric. I love the clock one. Neat giveaway. Sounds like a great book. Would love to make some gifts from these designs. These are great looking patterns. I'd love to try making one of these. I'm really interested in making my own bags and have been wanting to check out this book! What interesting bags. Love the outside pockets on the ones you have featured. They are beautiful. Thanks for the chance to win. I have always wished I could make bags...These are amazing! Great assortment of bags. Thanks for the chance to win. I love making bags! The bad part is when you make one,every one else wants you to make one for them. Haha! Fabulous bags that were shown! I would love to make several of them. Thank you for chance to win. Have a fabulous creative day! I'm definitely a 3D, hand made type of girl, so the patterns in here look perfect for me. I love how they are shown in 2 different fabrics too as it gives the bags a completely different look. Fabulous bags, thanks for the chance to win! Bags are my thing! I love them... along with quilting. 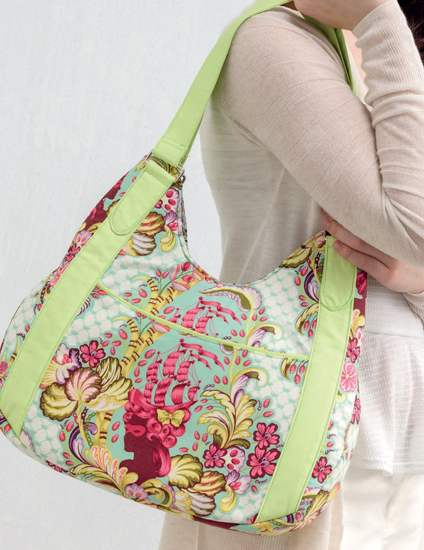 Sew quilted bags are even better. I love Tula Pink and Sara brings out the flair using that line of fabric. Oh how I would love to win this book. Fingers Crossed. Love the bags, they are so beautiful. All of the bags shown look great and very professional! I know what you mean about "homemade" reply on an article of clothing. I have been eying this book - those purses look great! Love Sara's bags! I think bags are my favorite thing to make. Oh, I'd love to win this book! Thanks so much for the giveaway. Too right! These look polished & professional! Wow, really nice looking bags, I want to make a number of them. Thank you for the chance to win one. I would love to be able to make bags like these. i have quilted and sewn for many years but purses are one thing i have always avoided. maybe it is about time i take the plunge. would love to have this book. These look like great bags. Love reading your blog. Sara's bags are always top notch and so professional looking! Love the backpack!!! I always tend to have a sloppy one, instead of a goodlooking handbag. Would love to try to make one! Never made a bag but would love to try! These look like great bags. I live to make bags for my children, but some of these look like they'd be very tempting for me too! Her patterns are dynamite! I'd love to try one or some of the patterns. I love Sara's patterns too! 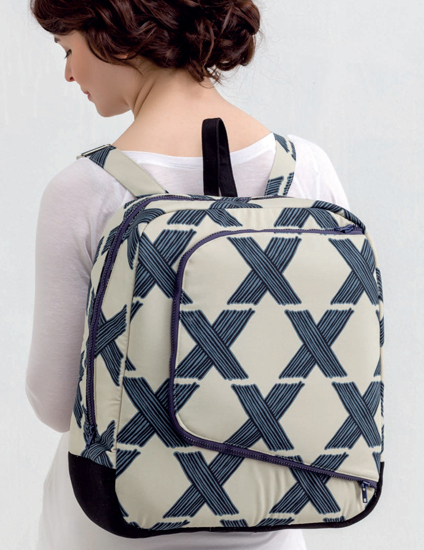 Like the outer pocket on that backpack! These bags are all so beautiful - love the fabric choices too! Thanks for the chance to win. I aspire to be able to create something which looks as good as these do! Such lovely bags! I have been dying to try some of her designs. Those look like great bags. I'm always searching for the perfect bag. Thanks. All those purses are great. Thanks for the opportunity. I love to make bags. Sounds like a great book - thanks for the chance to win! 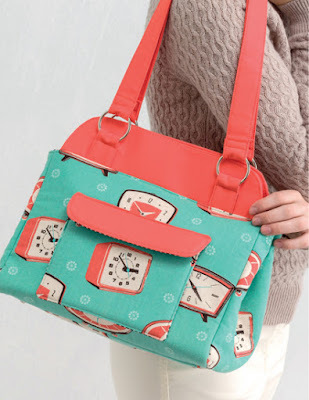 I love those cute bags, I am pretty new to sewing so I would be happy for interesting projects. Thanks for the giveaway. Nothing more fun than making a new bag! Lovely bags. This would be a great win for anyone trying to get past making totes. Thank you for the giveaway. I am glad that you were able to review the book. I have enjoyed making many Amy Butler handbags and these look like they would be great to make as well. The handbags pictured here look like ones that would be in boutique shops. Thanks for hosting the give away. Oh how I love bags! This looks like a fab book. What a great book - I love the idea of various level of bags and showing the ratings for each. I think people assume because you have sewn (either garment or quilting) that you can sew anything. There are always tricks to everything. I now want to try a bag. Thanks for hosting the giveaway. Someone is going to be very, very happy. Great looking bags. Thanks for the chance to win! Looks like a great book - I already see a few bags I want to make. Thanks for the chance to win. I am a beginner when it comes to bag making. Love the fact that these patterns are graded so you can tell how hard they are! I have Sara's first book, Big City Bags, and I look forward to seeing this new collection. All the photos I have seen look fabulous! 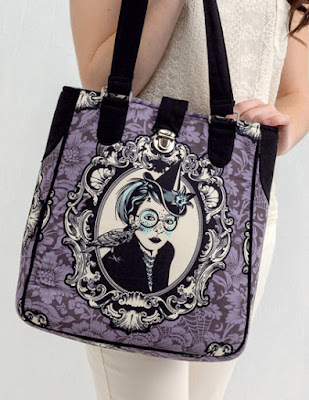 I'm always amazed at how many different designs for bags that Sara Lawson has in her books! Thanks for the chance to win. Love making bags! This book looks so fun! She has awesome patterns! Love making bags...although I am still learning! Her directions are spot on! I find choosing fabrics difficult for bags to give them that professional look. I'm with you on the 2D/3D thing - just can't get my head around it! Lovely bags. Making a bag is something I'd like to learn this year. These are lovely and may be the final push I need. Sounds like a book I would really love! There are some lovely designs in this book. Stylish bags and yummy fabrics. A winning combination! Those are some amazing bags! These are great looking bags, and I also love that they don't look homemade! And, having different levels of difficulty is great for intimidated people like me. Sara designs the most amazing bags, this book is bound to be a great one! I love Sara's patterns so much. Love Sara's patterns, great giveaway! Wow - anywhere in the world - how wonderful! 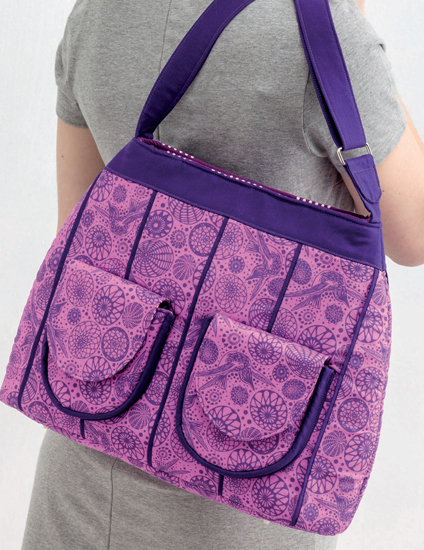 I am in awe of the fabric pattern matching - that makes the bag more complicated and it looks like perfection!! I love making bags. Thanks for the chance to win! Great book for making handbags! I've been covering this book, I'd love to win a copy, thanks for the chance! I'd love to make bags that look great! I agree, Sara Lawson has great designs. Thanks for the chance to win. I love the idea of having graded difficulty in the book, that way I wouldn't accidentally fall in love with something that was far too hard for me to make! Thanks for the giveaway! Lovely Bags!! Thanks for the give away! Love those bags....and I just received some wonderful Tula Pink fabric I ordered. I love purses and change them out a lot. Look like some good ones to make. I love to make bags and would like to win this book and try out some new patterns.